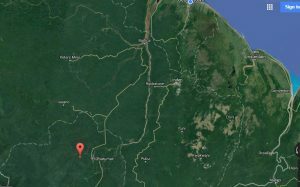 Several hours of a Cessna 206 aircraft was reported missing on Sunday, a search and rescue mission has spotted the plane at the location from where an emergency locator signal was emitted, sources said. The President of the National Air Transport Association, Annette Arjoon-Martins said the plane has not crumbled and she and her colleagues in the aviation fraternity are optimistic about Captain Imran Khan. “The aircraft is intact on the trees. The fact that it is not broken up. We are hopeful,” she told Demerara Waves Online News. She said the rescue team was travelling on foot to the crash site. The wreckage was first spotted at coordinates ( 5°17’18.0″N 59°16’24.0″W ) by Capt. Rawle Seecharan who is flying a BK Air-owned Britten-Norman Islander plane. That forested and mountainous location is about two or three miles from Mahdia, sources said. The plane, bearing registration markings, 8R-GFM, was being piloted by Captain Imran Khan at the time of the incident. 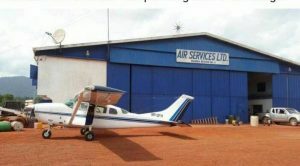 Arjoon-Martins, who is also part of Air Services Limited’s (ASL) management, said the plane was travelling from Chai-Chai to Mahdia when authorities lost contact. Sources said the Guyana Defence Force no longer has a helicopter with the required speed and stability to allow the soldiers to rappel. Next: Corentyne mason stabbed to death trying to defend brother…suspect in police custody, murder weapon recovered.